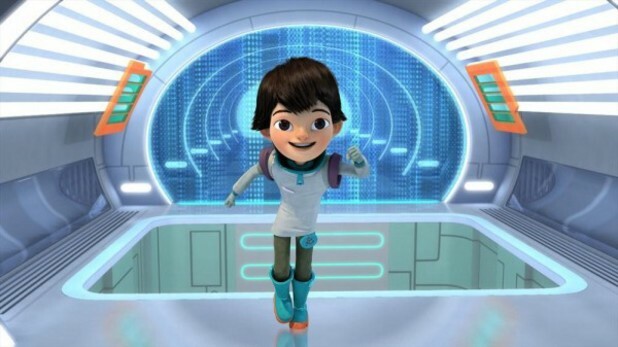 Disney Junior has ordered a second season of its hit animated series Miles from Tomorrowland. The series is currently the number one television series on preschool networks for kids ages 2-5 and boys ages 2-5. Miles from Tomorrowland tells the story of Miles Callisto and his family as they work together to connect the galaxy for the Tomorrowland Transit Authority. Space and science facts are incorporated into every episode. “We work with many experts in the space, science and technology fields – NASA astronauts, space architects and futurists, NASA’s Jet Propulsion Laboratory (JPL) scientists and Google engineers – and all of them have talked with us about their own early experiences as children that sparked their curiosity about space and the possibilities for the future,” said Nancy Kanter, Executive Vice President, Original Programming and General Manager, Disney Junior Worldwide. The show has grown into a series of storybooks, leveled reader books, chapter books, and eBooks from Disney Publishing Worldwide. Fans can also find Miles from Tomorrowland costumes, dolls, and toys at the Disney Store. The series also features famous guest stars including Mark Hamill (Star Wars) as Gadfly, George Takei (Star Trek) as Spectryx, and Bill Nye as Professor Rubicon.